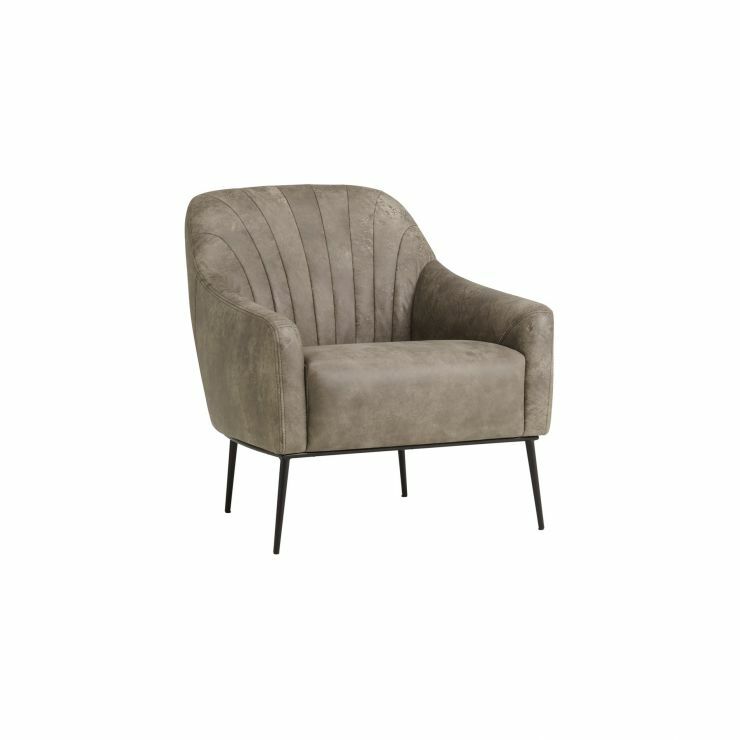 Panama is an accent chair upholstered in mottled mid grey leather with distressed effect. 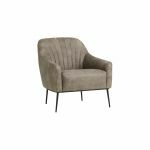 The style can be dressed up with a cushion or bright throw, or the sophisticated style can be left to stand on its own four black metal feet. Panama would fit in any room, including an office or study. Made to last, with hardwood in the frame, and a metal base with stylish spiky legs. Panama has comfort and style, for any spot that needs a seat – dressing table, reading corner, kitchen or study. And delivered free, too.